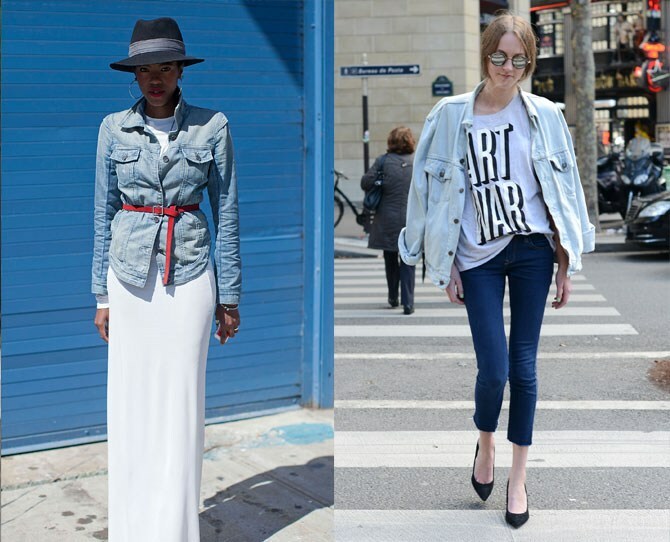 Check out some great denim looks for Spring and share which are your go to denim pieces. 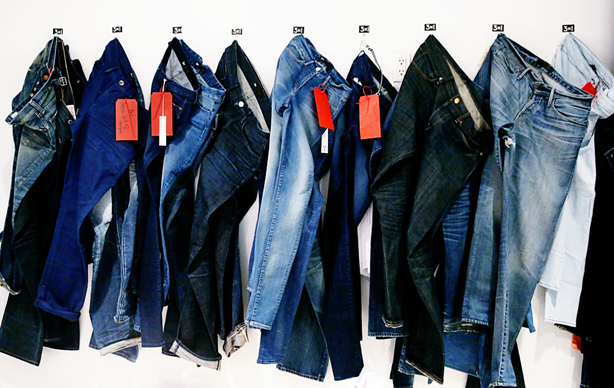 Denim is that universal fabric that’s worn in every season. From jeans, to shirts, shorty shorts, cut-offs, overalls and trucker jackets. It’s a staple everyone should own. Pairing it with floral. 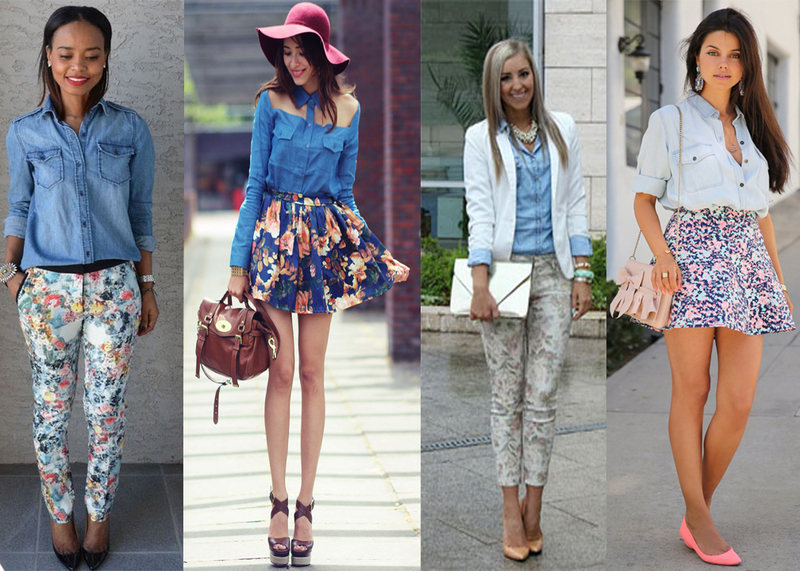 No matter the year, floral will always bloom in Spring and putting it with denim gives a great balance. You can even choose a chambray top that looks like denim but is lighter weight to pair with a floral bottom! The Denim on Denim action never gets old… when done right! I love the looks below. Zoe Saldana is always styled appropriately. 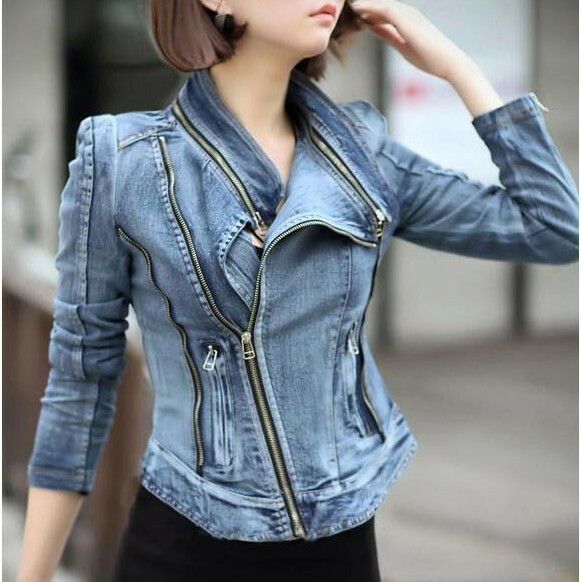 This all denim look has a boyish sexiness to it. Very hot for Spring. 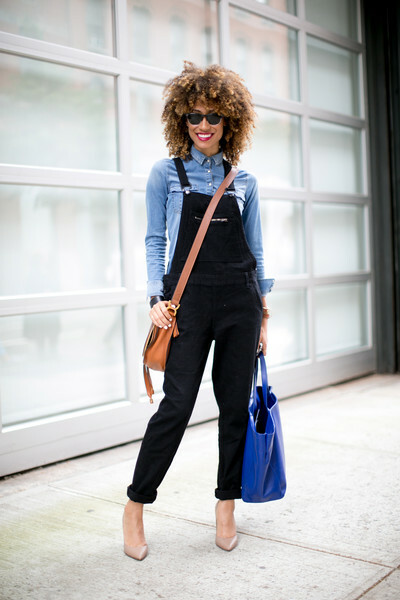 Cuff up fitted overalls or boyfriend style for Spring with a simple tee and colored heels. The trucker… originated by Mr. Levi Strauss and duplicated stylishly by many. The trucker can be the perfect add on to a Spring outfit. Whether its a dress, maxi skirt, shorts or jeans, celebs love truckers and so do should we. Lastly, light wash denim & unique to you. Choose to wear it tailored, unconventional or manipulated but keep it stylish and be you!